Sure Sure is a quartet who works a rich seam of splindly guitars with lush string arrangements. Songs like "New Biome" and "The Expert" are unique in how they hone art pop sensibilities, with smooth melodic contours and backwoods harmonies that faintly evoke bands like Grizzly Bear and Field Music. And do I hear some bossa nova chords embedded into the mix? 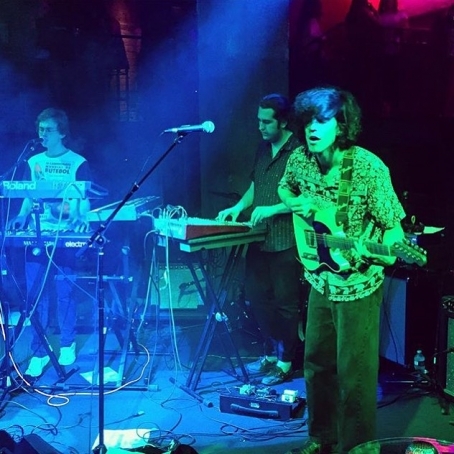 Their measured style is an uncommon one, and all the better for it, seeing as their first singles exhibit an attention to songcraft that is smart, inventive, and undeniably catchy.